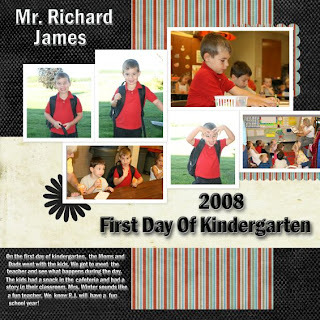 this is a digi scrap page I did of RJ's first day of school. We had no computer for a month and with the birth of our daughter Maddyn, I forgot all about my blog!!! I will update with pictures and such soon!